Secure and Compliant Mobile Payments: Is It Possible? -How do you safely and securely implement mobile payments while staying PCI DSS compliant? -How do you ensure that the cardholder data that is transferred or stored is secured? -How are mobile operators addressing PCI DSS compliance globally? 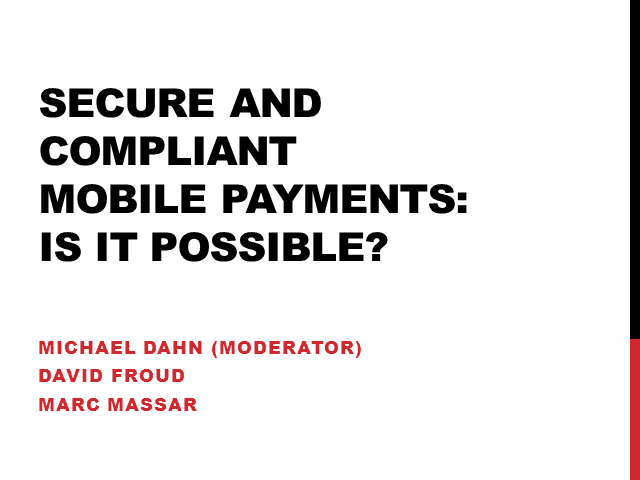 Title: Secure and Compliant Mobile Payments: Is It Possible?